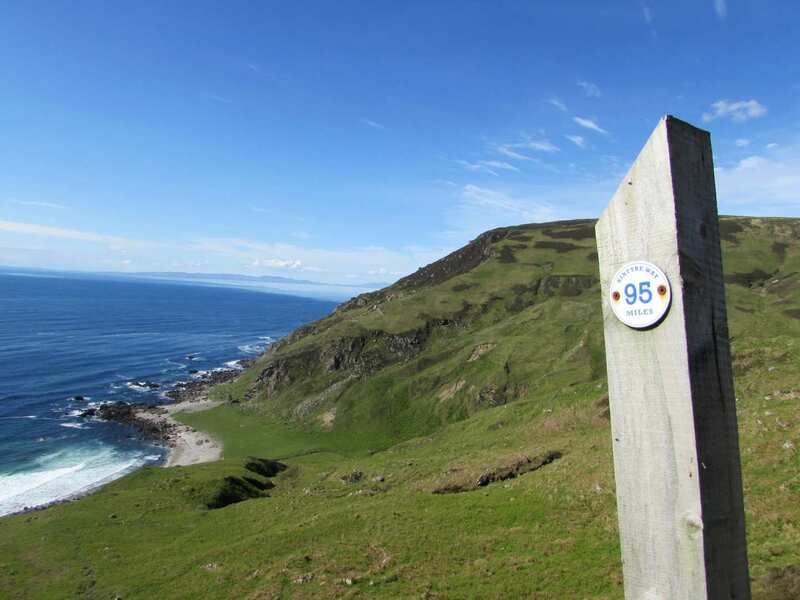 Experience the southern Kintyre Way at your own pace on a self-guided walking holiday. Accommodation, luggage transfer and custom holiday pack included. 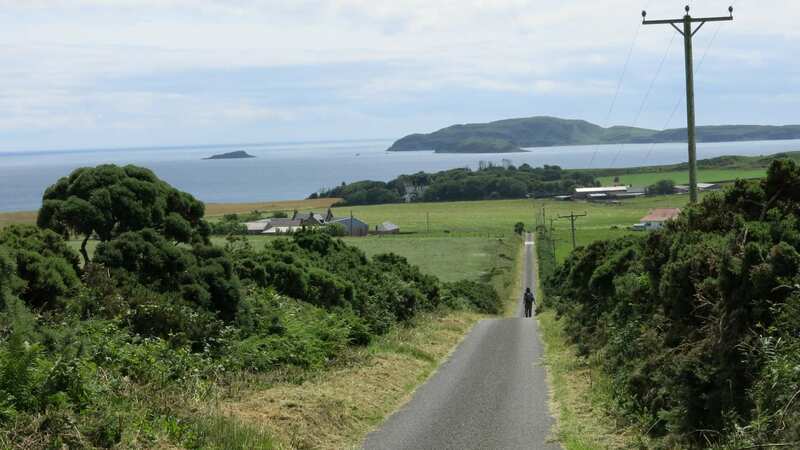 Carradale to Machrihanish along the coastline of Kintyre and through its glen and forests. 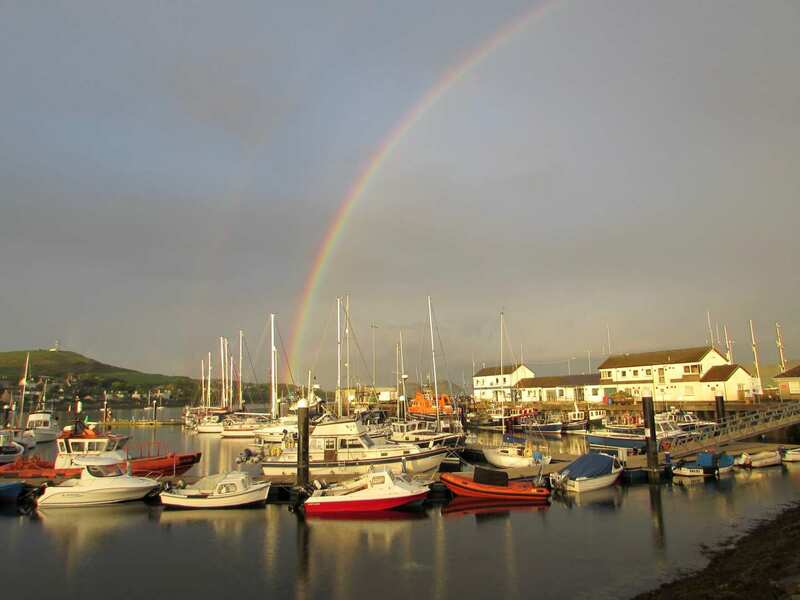 The South Section of the Kintyre Way starts in the pretty village of Caradale on the East coast of Kintyre. It continues through a variety of beautiful scenery to Dunaverty in the south and up around to Machrihanish on the west coast. 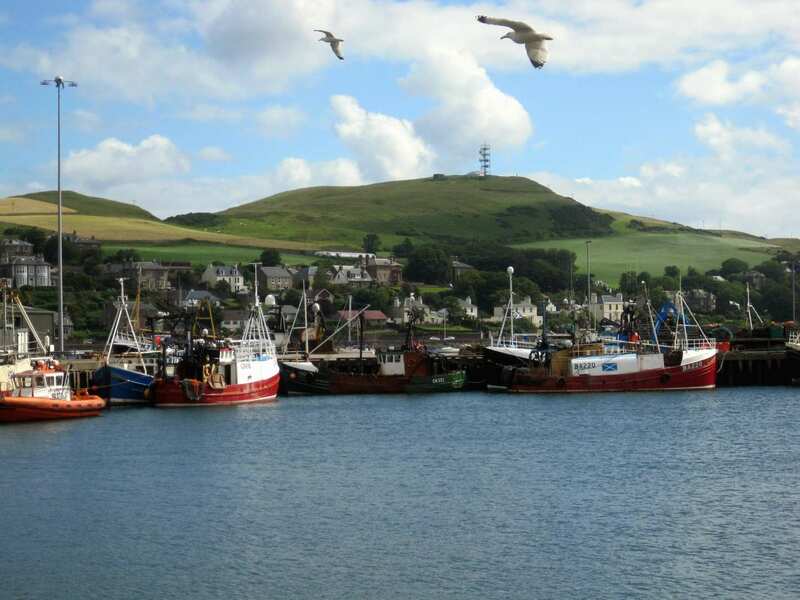 Lussa Loch, famed for its trout fishing, lies on the route, and so does Campbeltown – once home to 34 distilleries, although now only three remain. 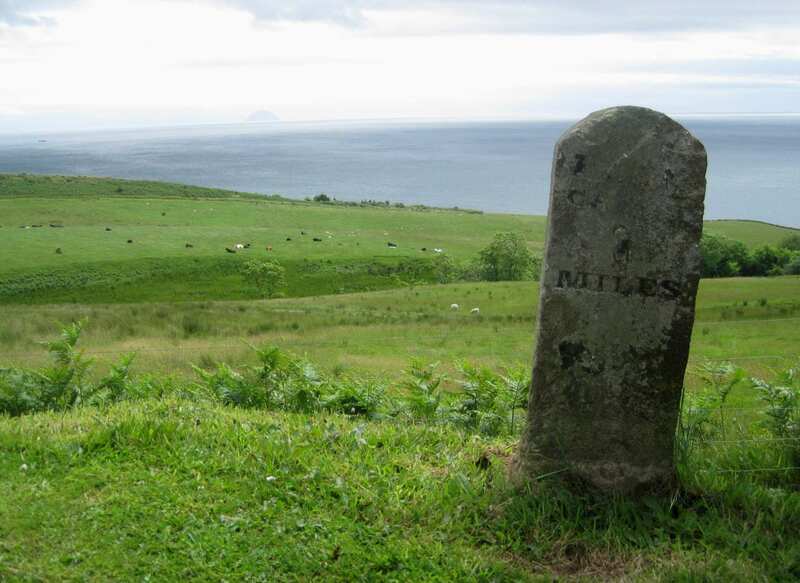 A quiet, single track walk departs for Leerside, offering glorious views to Arran, Ireland, and the Ayrshire coast. The haunting ruins of Dunaverty Castle overlook the tranquil bay. The final leg of the walk strikes out initially through lush farmland, but soon ascends to remote wilderness through a nature reserve and moorland: a very Highlands end to this Scottish walking holiday. Sampling a dram of fine Scottish Whisky at one of the oldest independent distilleries in Scotland: Springbank. 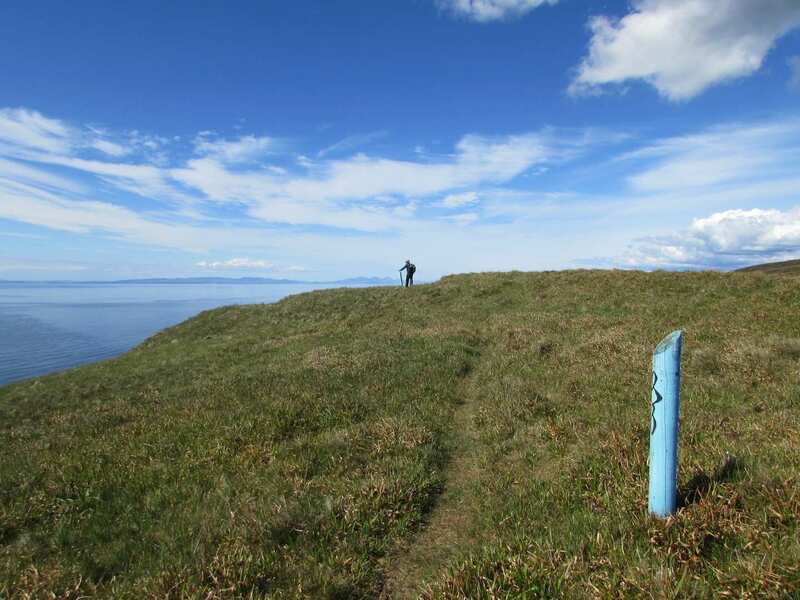 Taking in the finest landscapes of the Kintyre Peninsula, including hills, glens, forests and coastlines. Relaxing at the walk’s end in Machrihanish, a town best known for its gold, as well as its magnificent beaches and beautiful views. By Rail - There are no mainline rail stations in the Kintyre area. The nearest rail stations to Carradale and Machrihanish are Glasgow Queen Street and Glasgow Central station. By Bus - Buses run to and from Carradale. Return To The Start - To return to the start of the trail, you can either take the bus from Machrihanish to Carradale, however services can be quite limited. Or the easiest way is to catch a taxi from Machrihanish to Carradale.